Need to feel sure that you’re getting the most excellent work done possible with regards to your roof cleaning in Jacksonville and St. Augustine FL? 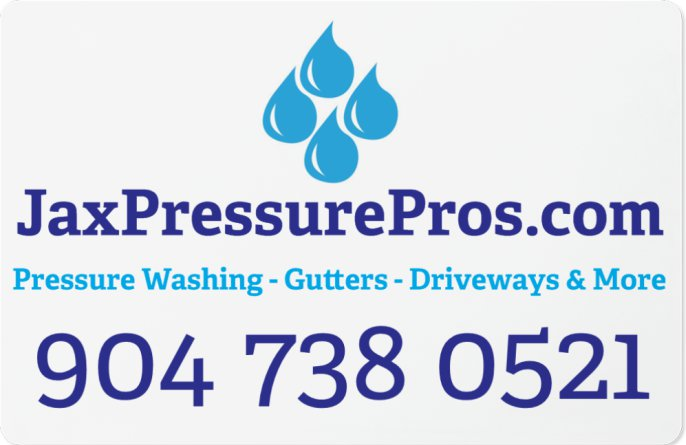 At JaxPressurePros.com, our Jacksonville pressure washing experts have the capability to not only clean but to bring back its original state. Our cleaning solution aid a lot to make your rooftop look new again. Our products are natural, eco-friendly, safe for use around plants, pets as well as swimming pools. Other so-called professional won’t tell you, is that you must never utilize power washers on your roofing. Even the experts recommend not utilizing traditional pressure washing techniques. Let JaxPressurePros.com experts handle your next rooftop cleaning using our eco-friendly and safe cleaning products. Here in Jacksonville and St. Augustine FL, a lot of homeowners are well-known with the ever-presented mildew and mold we get because of the moist environment. Often times, it’s just easier to disregard the black or green substance which starts spreading on your sidewalk. Once its hits your floor, you can never put off any longer. It is not unsightly; it could result in serious issues with your roof and your home in general. Usually, this is when the regular homeowner will think that it is time to rent a power washer or hire somebody to do the job. However, that will be wrong. Pressure washer can really do harm with regards to your roofing if not use properly. So, to avoid this you need to call an expert to get the best results. When talking about the advantages of roof cleaning in general, it is of equal importance to examine the ways utilized. Roof cleaning using high pressure will ruin your roofing. Shingles are easily broken, being composed of lots of tiny granules and, whilst pressure washing will get rid of some stains, also it will remove sections of your roof. Of course this will be counterproductive. Soft washing and non-pressure chemical methods by far are the best way to clean your roofing. With this method, chemicals which are well diluted are sprayed don your roof. A rinsing process is utilized to get rid of any substances as well as residue remaining. These approaches make sure that your roofing is secured from harm and brought back to its previous state. JaxPressurePros.com roof cleaning solution has reliable components that avoids mildew and mold from coming back, to provide your roofing clean for years. JaxPressurePros.com provides professional roof cleaning services all throughout Jacksonville and St. Augustine FL. Not only we understand the disparity of soft pressure and high pressure cleaning with regards to cleaning your roof, we also see to it that we know the needs of the community we serve. So, if you are looking for a knowledgeable, trustworthy as well as dependable roof cleaning professionals, call us no and you will get a free estimate.